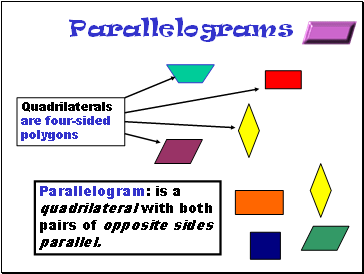 Parallelogram: is a quadrilateral with both pairs of opposite sides parallel. 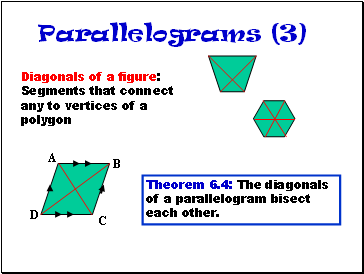 Theorem 6.4: The diagonals of a parallelogram bisect each other. 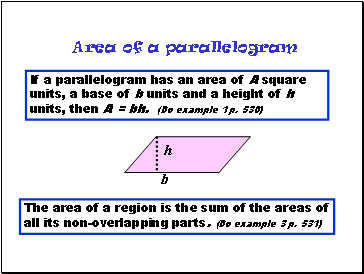 Draw a parallelogram : ABCD on a piece of construction paper. 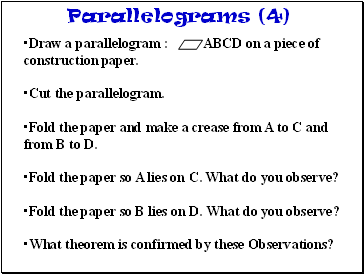 Fold the paper and make a crease from A to C and from B to D.
Fold the paper so A lies on C. What do you observe? Fold the paper so B lies on D. What do you observe? What theorem is confirmed by these Observations? 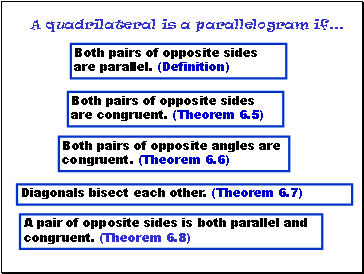 Theorem 6.5 :If both pairs of opposite sides of a quadrilateral are congruent, then the quadrilateral is a parallelogram. 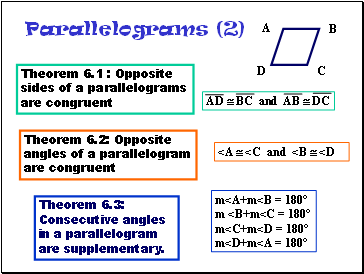 Theorem 6.6: If both pairs of opposite angles of a quadrilateral are congruent, then the quadrilateral is a parallelogram. 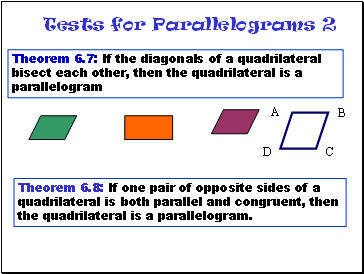 Theorem 6.8: If one pair of opposite sides of a quadrilateral is both parallel and congruent, then the quadrilateral is a parallelogram. 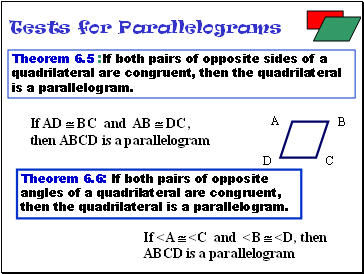 A quadrilateral is a parallelogram if .